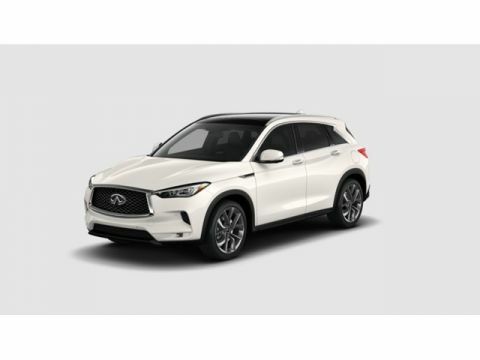 The 2019 QX50 features some of INFINITI’s signature designs and technology. Lighting the way is the QX50’s signature LED headlamps blend technology with a sense of humanity. Both functional and refined, their steady gaze pierces through all conditions, day or night. 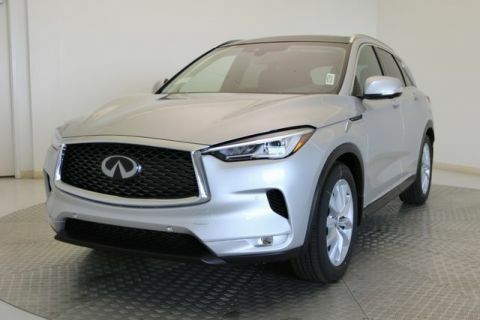 Up front with the lights is QX50’s signature double-arch grille. 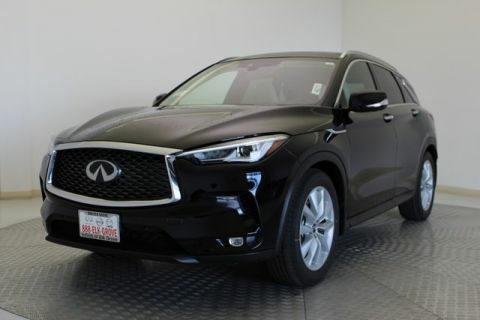 Expanded in size for the 2019 model, its deeper diamond mesh adds a more aggressive feel to the sophisticated QX50 personality. 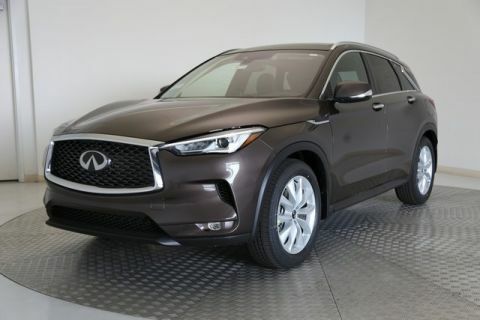 Adding to the definition of the exteriors detail, INFINITI’s engineers moved the entire cabin forward – creating an extended body-length character line – for a longer visual signature as part of the all-new 2019 INFINITI QX50. 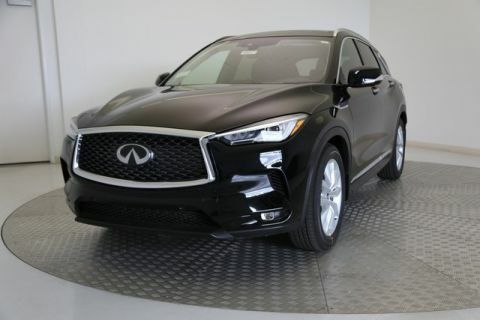 The interior design of the 2019 model features elegant surfaces and a driver-focused design that come together to form the well-appointed QX50. Having a generous selection of carefully balanced materials, the QX50 cabin creates an exceptionally calming environment for every drive. The cabin features open-pore wood accents and tailored leather stitching that has a human feel to the touch. Pairing an artfully asymmetric cabin layout with exceptional attention to detail, QX50 is perfectly crafted for years of comfortable driving with centralized controls for the driver. The QX50 also features a motion activated lift gate that lets you load and unload an impressive 65.1 cubic feet of cargo space with ease. Imagine having both sports car performance and eco-friendly efficiency on demand, working together to seamlessly empower and amplify your every desire. 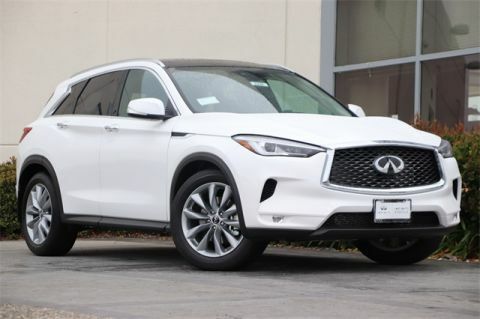 QX50’s groundbreaking world’s first production-ready VC-Turbo Engine brings that vision into reality as the world’s first publicly available variable compression ratio engine. 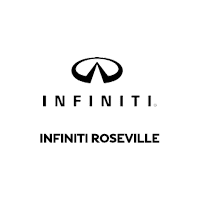 Representing over 20 years of research and innovation, INFINITI’s world’s first production-ready VC-Turbo Engine is positioned to be one of the most advanced and responsive engine designs ever created. The future isn’t driverless. The future is choosing how to drive. Designed to complement your natural abilities, INFINITI’s ProPILOT Assist suite of technologies enhances your drive with a variety of innovative features. It’s hands-on steering assistance can help keep you centered in your lane, even on curved roads. Advanced Intelligent Cruise Control adjusts itself across a full range of speeds to keep a preset speed and distance from the car in front of you and has stop and hold function. Distance Control Assist can help maintain set distances between vehicles on highway traffic. Together, QX50 and ProPILOT Assist give you the ultimate luxury of all: complete confidence. Forward Emergency Braking with Pedestrian Detection can provide warnings and help QX50 avoid frontal collisions. Advanced Intelligent Cruise Control technology can automatically adjust your preset speed to adapt to a full speed range in traffic and can even come to a complete stop and hold if needed. Lane Departure Warning and Prevention systems help warn the driver if they start to drift out of their lane and can even intervene if necessary. Distance Control Assist can help maintain set distances selected by the driver by pushing back the acceleration pedal when the vehicle ahead is closer than the preset distance. 1ProPILOT Assist cannot prevent collisions. Always monitor traffic conditions and keep both hands on the steering wheel. See Owner’s Manual for safety information. 2Intelligent Cruise Control is not a collision avoidance system or warning device. Designed to use limited braking. Failure to apply the brakes could result in an accident. 3Distance Control Assist helps maintain a distance to the vehicle in front under certain conditions. Not a collision avoidance system. Failure to apply the brakes could result in an accident. 4FEB with Pedestrian Detection is not a replacement for responsible driving. May not provide warning or braking in certain conditions. Limitations apply. See Owner’s Manual for details. 5Intelligent Cruise Control is not a collision avoidance system or warning device. Designed to use limited braking. Failure to apply the brakes could result in an accident. 6LDW operates only when the lane markings are clearly visible. Speed and other limitations apply. See owner’s manual for details. LDP operates only when the lane markings are clearly visible. Speed and other limitations apply. See owner’s manual for details. 7Distance Control Assist helps maintain a distance to the vehicle in front under certain conditions. Not a collision avoidance system. Failure to apply the brakes could result in an accident.